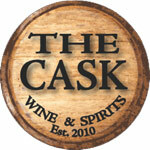 The Cask offers the largest selection of Kosher fine wine and spirits on the West coast. We have worked long and hard to bring you the best varietals from regions around the world. Ask us about our wedding liquor specials.